Comment: Roof rats had gotten into ducts/vents. Need to replace ducts, clean indoor ac unit and also look st over all airflow in the house. Some parts donât seem to get much air flow. Comment: Looking to update old HVAC system in private residence. Want to have system be fairly efficient, and cost effective. Comment: Need additional outlet installed on front porch. I need an outlet installed on our front porch, the house has metal siding. Unsure what else you need to know. 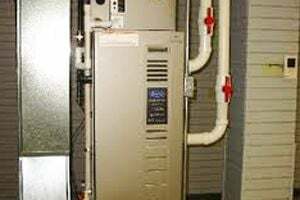 Comment: installation estimate on rplacement for trane heat pump. have approx. 1200 sq ft townhouse. A & V Electric Co., Inc.
Savannah Heating & Furnace Contractors are rated 4.85 out of 5 based on 353 reviews of 13 pros. Not Looking for Heating & Furnace Systems Contractors in Savannah, GA?